Stuart S. Malawer, J.D., Ph.D. Distinguished Service Professor of Law and International Trade at George Mason University (Schar School of Policy and Government). Member of Virginia’s Advisory Committee on International Trade. Two historic cases involving the issues of national security and trade have been decided recently, one by a federal court and one by a panel at the World Trade Organization (WTO). Despite the grave importance of these two cases for the United States and the global trading system, not much attention has been given to them. The first case, American Institute for International Steel v. United States, was decided by the Court of International Trade in New York on March 25, 2019. This upheld the president’s authority to impose tariffs under Section 232(b) of the Trade Expansion Act of 1962 in cases involving threats to national security. This is the first time in over forty years that a federal court has addressed this issue and upheld the president’s delegated authority to do this. The second case, Ukraine v. Russia Concerning Traffic in Transit, was decided by a panel within the dispute resolution system of the WTO on April 5, 2019. The panel upheld the right of the Russian Federation to impose restrictions on Ukraine under GATT Article XXI, the national security exception. This is the first time the WTO has ever applied this provision. The panel decided that national security as a defense was reviewable by the WTO. Additionally, it determined that Russia’s reliance on it was justifiable. The US submission, as a third-party, argued against the WTO’s jurisdiction to hear this issue. This is pprobably because it intends to raise this same defense in the barrage of litigation already filed in the WTO against the U.S. tariffs on steel and aluminum, which rely upon Section 232. The U.S. probably will also rely upon the GATT Article XXI defense when its new sanctions on Cuba are utilized which allow extensive litigation against a wide range of foreign companies dealing with nationalized properties. What do these cases mean for the U.S. and the Trump administration’s trade and tariff polices? To me, they mean big trouble. Why? So what does this mean for the Trump administration? It ought to be very concerned. The Court of International Trade decision will undoubtedly be appealed directly in the US Supreme Court. The warnings in its opinions are ominous. The WTO panel decision is more than ominous. It considers claims of national security to be both reviewable by the WTO panel and subject to a decision on their merits. My guess is that the Trump administration will fight to preclude a Supreme Court review of the issue of the legality of the delegation of national security powers and will outwardly be even more hostile to the WTO, if that’s even possible. No one can say that law and trade aren’t among the crucial issues of the day. This article discusses American Institute for International Steel v. the United States, which is pending in the little-known United States Court of International Trade in New York. It involves an attempt to declare that the US legislation delegating authority to the president to impose trade restrictions is an unconstitutional delegation of legislative authority. A loss would legally curtail the president’s discretionary power to use national security as a reason to impose punitive measures against trading partners. The article identifies legal trends, where this case fits into the trade policy debates, and why it is so important. The article concludes that domestic U.S. litigation in 2019 may well have a tremendous impact on U.S. law and the global trading system. Many in the domestic and international trading communities (as well as those in the foreign policy and national security communities) are waiting for the results of this little-known steel litigation. Malawer, “Section 232 Litigation in the U.S. Court of International Trade and President Trump’s Trade Policies. 5 CHINA & WTO REVIEW No. 1 (Feb. 2019). To me the US – China trade dispute is not really that much about trade, tariffs or technology. What I would call T3. It’s about changing the rules of the game, global relations. In particular, it’s about President Trump’s innate desire to destroy almost everything that preceded him –– alliances, trade flows, global norms and multilateral institutions, Not sure why. But that’s his psychology and method of operating as to everything. Creating havoc. Period. In terms of formulating a US trade policy. 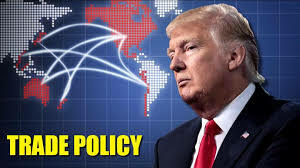 It would be most effective for the Trump administration (those officials that actually have some real control over policies and who have a minimum sense of diplomatic history, international relations, international economics and international law) to actually utilize the WTO’s dispute resolution system to address real issues. This would help channel US-China trade disputes into an international mechanism that can actually assist in resolving real issues. And away from very real and dangerous conflicts and military confrontations. The WTO dispute resolution system has a good track history of diplomatic and legal settlement of concrete disputes. It has precluded these disputes from escalating out of control. After all this global system was the American intent behind being the principal architect of the post-war system and the WTO’s dispute resolution system. This American policy of fostering an international judicial mechanism reflects the core American belief in a rules-based system and the American values of relying upon a fair judicial determination of conflicts. Not reliance on unilateral actions, raw power politics, the law of the jungle, or bluster and threats. The U.S. Department of Justice (National Security Division) has now been enlisted by the Trump administration into its expanding trade war with China. This marks a significant escalation of legal and economic weapons used by the United States. US international economic legislation gives the president broad powers to conduct economic warfare. However, the use of such legal powers is always a policy issue. I’ve written before on Chinese economic espionage and technology. I agree it’s a problem—it has multiple dimensions. But what is the best remedy? What’s the end game? On November 1st, Attorney General Sessions proclaimed a new China initiative that augmented the administration’s prior use of trade retaliation (Section 301) and aggressive trade actions under a national security rationale (Section 201). Simultaneously with this new initiative, on November 1st, the Justice Department announced that a federal grand jury indicted a Chinese state-owned enterprise (SOE) with crimes related to theft of technology and trade secrets. In addition, the Justice Department filed a civil lawsuit on the same day, seeking to enjoin the SOE from future transfers of technology and from exportation of products to the United States relying upon such technology. In addition to the above, Attorney General Sessions also stated on November 1st that this new anti-China initiative would include vigorous application of other pieces of U.S. international economic legislation, including the Foreign Agent Registration Act, rigorous implementation of the new foreign investment rules (CFIUS) as to Chinese investments and transactions in the US, more extensive application of the Foreign Corrupt Practices Act, and better utilization of mutual legal assistance agreements. The enlisting of broad criminal prosecutions and the reliance on a wide range of international economic legislative enactments represent a significant escalation of the trade war with China. (This raises the larger issue of the role of domestic courts in foreign affairs, a topic for another posting). How this plays into bringing about a diplomatic resolution of a broader range of non-technology trade issues remains to be seen. It is trade and economic negotiations, without duress and threats that will finally resolve US-China disputes and result in better management of trade relations as well as larger political relations. It is in the foreign policy and national security interests of the United States that criminal prosecutions and overly-broad unilateral reliance on domestic economic legislation (for example, sanctions and export controls) are not used as threats and political theater. Sessions. “New Initiative to Combat Chinese Economic Espionage.” (USDOJ News 11.1.18). “PRC State-Owned Company Charged with Economic Espionage.” (USDOJ News 11.2.18). U.S.–China trade relations are the most important bilateral trade relations today. The conflict between these countries has already progressed to a trade war. What is not well known is how this conflict is playing out in the WTO’s dispute resolution system. An examination of the trade cases filed by both China and the U.S. in the WTO during the first two years of the Trump administration is extraordinarily illuminating. Careful analysis reveals important facts that are not well known and are often miscast as reality. This litigation has implications for trade relations with China; broader U.S. trade policy; and even broader U.S. policy toward international law, multilateral institutions, and the international political system. Between January 2017 and October 2018, China initiated five cases against the United States. These questioned the conformity of various signature trade actions by the Trump administration. For example, China attacked the imposition of tariffs on solar panels as a safeguard measure. It also attacked the imposition of other tariffs on steel and aluminum by the U.S. as a national security measure. Two cases also questioned the U.S.’s unilateral retaliation against a broad range of China’s exports to the U.S. Most recently, China contested the validity of U.S. tariffs on exports that were imposed as retaliation for alleged intellectual property rights violations. The U.S. contends that China requires forced technology transfer as a condition for entering into joint ventures. China considers that these are essentially private corporate transactions that are utilized worldwide by many firms as a means of doing business and securing market access. The U.S. has only belatedly filed two cases against China. One alleges that the Chinese response to new U.S. tariffs because of intellectual property rights violations was filed too early. The other argues that China’s retaliatory tariffs, imposed in response to U.S. tariffs on steel and aluminum imports, which were based on a national security rationale, cannot be reviewed by the WTO. It is clear that China is trying to rely on the WTO’s dispute resolution system as a means of managing U.S.–China trade relations. The Trump administration has only barely begun to catch up. The backdrop to this series of litigations by both parties is the Trump administration’s very public disdain for the WTO. The administration has condemned the WTO’s ability to negotiate newer trade rules (the WTO’s negotiations have been a failure). It called for possible withdrawal from the WTO. In addition to this threat, the Trump administration has focused its criticism particularly on the dispute resolution system, where it claims the decisions have ignored the law and the US has lost all its cases. The U.S. was a major supporter of the establishment of the WTO. In addition, it was the principal architect of the dispute resolution system, which involves both diplomatic negotiations and, if they fail, binding adjudication with enforcement. The U.S. negotiated this because it was perceived to be in its national interest and exercise of its national sovereignty. The U.S. wanted to create a rules-based trade system as a means of diplomatically resolving and adjudicating disputes—a system that would mirror the U.S. legal system and its unique values. In this system, rights and obligations are assumed by all nations as a means of creating a multilateral system. Where the law of the jungle (power politics) gives way to the rule of law with mutual benefit for all. Since 1995, the U.S. has been the greatest user of the WTO’s dispute resolution system. The U.S. has won most of its cases. In fact, surprisingly, China has implemented all decisions that have gone against it. The U.S. has not. My conclusions are as follows: first, it is in the national interest of the U.S. to remain in the WTO. Second, it is similarly in our interest to remain part of the dispute resolution system. Third, a wide variety of U.S.–China trade disputes have been litigated. China has implemented all adverse decisions, but the US has not, especially regarding the methodology of determining dumping and subsidy cases. There is no reason U.S.–China trade issues cannot be settled in the WTO’s dispute resolution system. Facts support this. It is better to settle trade disputes in the WTO than on the global stage, where trade disputes can easily spill over to a real battlefield. Trump and Weaponization of Treaty Termination — Constitutional and International Legal Issues. President Trump is aggressively terminating treaties. The U.S. Constitution establishes procedures for treaty making but says nothing about treaty termination. This treaty-making power is shared with the Senate. Little case law addresses the issue of treaty termination, which raises significant international law and constitutional issues impacting U.S. foreign policy and national security. The Trump administration announced pulling out of the 1955 bilateral treaty with Iran. This announcement came immediately after the International Court of Justice ruled in Iran’s favor and awarded it provisional measures in Iran’s action contesting renewed U.S. trade sanctions. At that time, the administration declared that it would review all treaties that give the International Court of Justice (ICJ) jurisdiction to decide disputes with the U.S.
Also at that time, the administration declared that it would no longer be bound by the Vienna Convention on Diplomatic Immunity’s “optional clause,” which the U.S. accepted as giving the ICJ jurisdiction over treaty disputes involving the U.S. Immediately afterward, the administration announced its intention to withdraw from the 144-year-old International Postal Treaty (Universal Postal Union). Most recently, this month, the Trump administration announced it will withdraw from the Intermediate-Range Nuclear Forces Treaty (INF) with Russia. Of course, the administration previously withdrew from the multilateral nuclear agreement with Iran, threatened to withdraw from the North American Free Trade Agreement, continuously threatens to withdraw from the World Trade Organization, and refused to continue negotiating the Trans-Pacific Partnership on the administration’s first day in office. 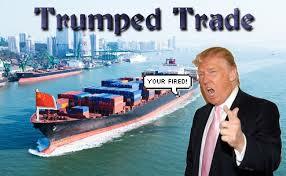 The administration continuously threatens to withdraw from various bilateral trade deals. This threat of treaty termination is made alongside the administration’s threats to withdraw from a host of multilateral organizations and other diplomatic undertakings. So, what’s the relevant U.S. constitutional law concerning the president’s authority to terminate treaties? In 1979, the Supreme Court upheld President Carter’s unilateral withdrawal from the defense treaty with Taiwan. It considered treaty termination to be a non-justiciable “political question.” In a subsequent case involving the termination of the Anti-Ballistic Missile treaty by President Bush in 2002, a federal district court held that treaty termination was also a non-justiciable question. However, keep in mind that even though broad deference is made to the president in foreign affairs, the Supreme Court’s Curtis-Wright Case of 1936 clearly makes this point. More recent cases have consistently reviewed executive actions that affect national security. Witness the recent federal cases concerning President Trump and various immigration matters. Proponents of broad presidential power concerning treaty termination argue that such power is implicit in the president’s foreign affairs and diplomatic powers. This statement is true to an extent. However, it does not extend to all cases of termination, such as those concerning non-self-executing treaties that have been implemented via congressional legislation. This is especially true concerning treaties or executive agreements regarding trade issues, where Congress has exclusive authority and where the agreements are implemented through congressional legislation. The Trump administration’s aggressive use of treaty termination amounts to a weaponization of this power that has not previously occurred. No matter what the domestic legality of the termination of a treaty may be, presidential termination does, in fact, terminate the agreement between the U.S. and its treaty partner. However, this termination may well be a violation of the treaty if it does not comply with the withdrawal provisions of the treaty, and such termination would place the U.S. in violation of international law. International lawyers, foreign policy experts and Congress, among others, need to seriously review this matter. Because treaties create international and domestic laws, Congress should have major input in their formation and termination. Of course, the violation of international law raises serious foreign policy and national security concerns for the entire nation. The International Criminal Court & the U.S. — Time for a Reassessment? What’s the deal with John Bolton blasting the International Criminal Court on the eve of 9/11 celebrations this week? He needs to get over his paranoia of international courts, international rules and multilateral institutions. These have developed over the past 120 years and are in the national interests of the United States. It’s part of “American Exceptionalism” and has been a cornerstone of American foreign policy for years. In fact, the United States might want to reconsider cooperating with the court as it did during the Obama administration, and even joining it. Perhaps it could do this with formal Senate treaty reservations as we go forth in this century. Russia and China are not members of the International Criminal Court. Do we really want to be the other major country not a member of this court? I understand the concerns of the U.S. military and intelligence communities at the time that the treaty came into force at the beginning of the U.S. military actions in Iraq and Afghanistan. We have already investigated this, and our conclusions are clear. It’s been almost 20 years and time for a realistic reassessment. To answer the above question, Bolton’s diatribe fits perfectly within President Trump’s and his administration’s myopic view of laws, judges, courts and prosecutors — at all levels — state, federal and international. It’s only getting worse. Just read President Trump’s disparagement of the International Criminal Court in his recent speech to the General Assembly. It was strange the way that Bolton gave his speech at the Federalist Society. This is a conservative legal group that has espoused from its founding respect for rules and courts. It is also strange that he gave his talk when nothing much has happened. A lot has changed in the Middle East since 2002. This is when the Bush administration launched military operations in Iraq and Afghanistan. It’s when the Bush administration along with the neocons decided to “unsign” the Treaty of Rome and not to present it to the U.S. Senate for ratification. Articles 5, 12 and 13 of the Treaty of Rome address the issue of jurisdiction. Article 5 lists as subject-matter jurisdiction the crime of genocide, crimes against humanity, war crimes and the crime of aggression. Article 12 provides as a precondition to jurisdiction that a state needs to be a party to the treaty. Article 13 seemingly expands this jurisdiction to crimes committed within a signatory state by forces of a country not a signatory of the treaty. (Think, Afghanistan.) If the U.S. Senate considers the treaty, it can, of course, adopt a formal reservation precluding this provision. Limited court appearances for the purpose of challenging jurisdiction is well known and accepted. The jurisdiction decisions in international tribunals are always treated as preliminary matters before addressing merits of the dispute. It is in the national interest of the United States to cooperate with the court, and if any challenges arise, the U.S. has valid arguments against the exercise of jurisdiction. Simply put — the U.S. is not a party to the Treaty of Rome, and any exercise of jurisdiction violates the most basic provision of international law. If a state does not consent to jurisdiction, there is no jurisdiction. There is no violation of national sovereignty. In addition, even under the particular terms of the Treaty of Rome, jurisdiction can be found not to exist. Appearance in a court proceeding does not mean consent to jurisdiction nor acceptance of any provisions of a treaty. We have a lot of lawyers in the Dept. of State and Justice Dept. that can make these arguments and prevail. 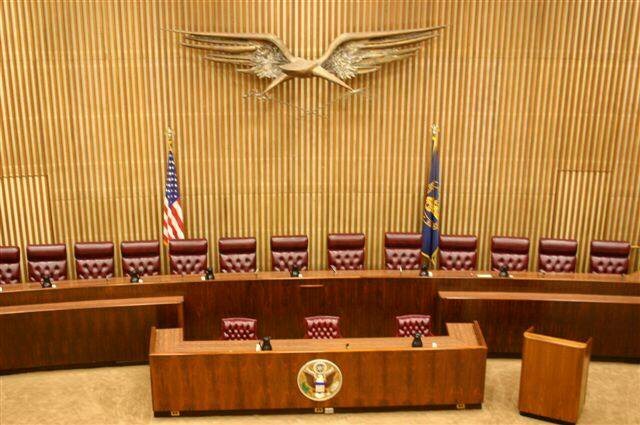 We also have lawyers serving in U.S. embassies throughout the world who can be of assistance. The U.S. should not be afraid of legal challenges. In the long run, they make for a better system. 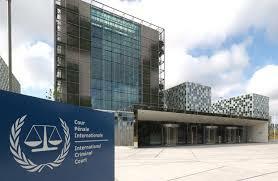 For the first time various member states of the ICC have recently requested consideration of a prosecution. Specifically, five Latin American countries and Canada have requested the court to consider prosecuting Venezuelan officials for human rights abuses. Wesley Clark, former NATO Supreme Allied Commander, declared that John Bolton was dead wrong. In fact, we have previously cooperated with the International Criminal Court in its investigations. The International Criminal Court is a historical development starting with war crimes trials by victorious countries after World War Two and prosecutions by ad hoc tribunals after the Yugoslav wars of the 1990s. It is in the national interest of the United States to stand up for our exceptionalism and the international rules-based system that it has championed. “Protecting American Constitutionalism and Sovereignty from the International Criminal Court.” (White House) (Sept. 10, 2018). “Bolton is Dead Wrong on the ICC.” Washington Post (Sept. 25, 2018). “President Trump Speech to the UN General Assembly” (and Video) (Sept. 25, 2018). “New Case for the International Criminal Court — First Request by Member States — Venezuela H. Rts Practices.” New York Times (Sept. 27, 2018).